INGLOT recently sent me this little quad of eyeshadow’s to try out even though I blogged about them before. I never really did a proper review so I thought this would be the perfect opportunity! The range of eyeshadow shades available is immense. 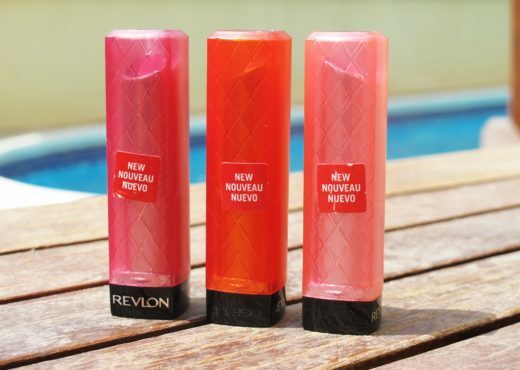 Right now about 700 different shades are available, but don’t quote me on that! The shadows come in 3 different varieties; Regular, AMC (very shimmery) and AMC Shine (slightly shimmery). 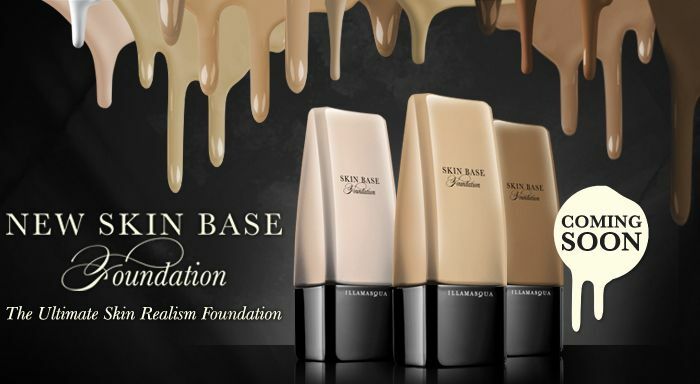 The quality is absolutely superb, very pigmented, super smooth to apply and blends beautifully. The shades in this palette are: Pearl 421(dark brown), AMC Shine 11 (light gold), AMC 68 (sea blue) and AMC 491 (deep purple). The shimmer in the AMC shades is amazing, I’ve tried to take a decent close-up shot (below left) so you can see the flecks in it. Apart from the fantastic quality, INGLOT also offer the superb Freedom System. Basically, you can make up your own palettes of eyeshadows, lipsticks, foundation and blushers. The pans available range from 10 square, to 4 square (like the one above), 2 round, 5 round and on and on. Think about it like this; everything in the store can be easily put in a palette, chopped and changed any way you want, with the shades you want! Genius. The packaging is another plus point. Sturdy dense plastic with magnetic pins on every corner, so its snaps open and shut with no chance of any breakages or cracks. The cover, as you can see in the top picture, is see-through so you know exactly what you have. Bonus! The downside to INGLOT in my opinion, is that although there are 90 stores worldwide (18 of which are in the Middle East!) they are not readily available elsewhere, with only 2 in Ireland, 1 in the UK and 5 in the US. The do offer online shopping now but only for US & Australian peeps & their website is terrible. No information whatsoever provided on any of the products and no explanation of what the Freedom System is?? You can’t have it all I suppose! >Ooh pretty! Are the shadows nice and buttery or a bit prone to some dusty fall out, weirdly I have a slight aversion to companies that make 100's of anything on the basis that they cant be of fab quality if they are producing so many. I am basing that concern on absolutely nothing I hasten to add! but would love to know how the inglot shadows perform as the monster range of colours is calling my name! 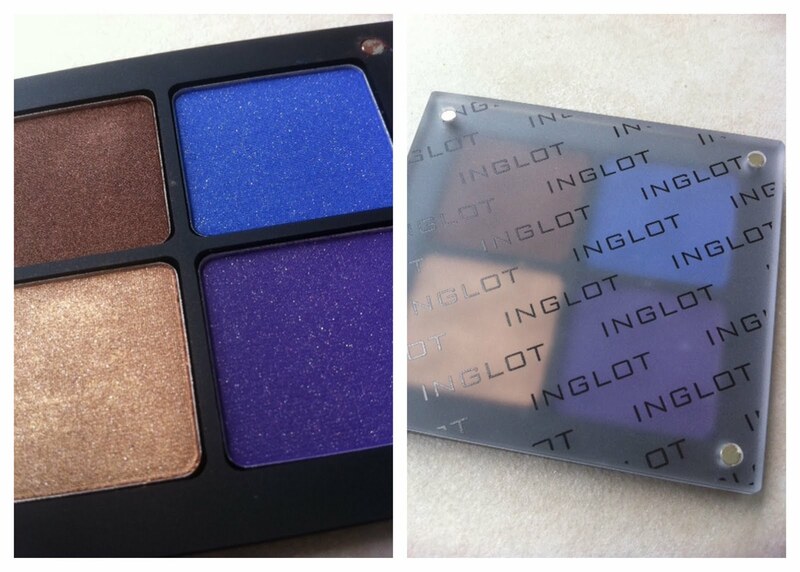 >I've been DYING to try out Inglot! I'm hoping to go within the next three months, however it's just making the time to trek over to the store, haha. Thankfully there's one in London, but it's still a bit far! I can already tell I will go CRAZY for the eyeshadows! 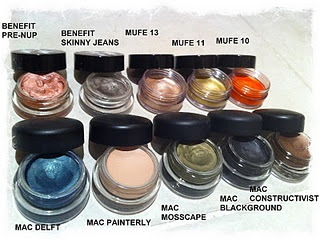 I love frosts from MAC & I'm thinking Inglot will really please me with their AMC shades! Great review! Wish they'd send me some! The brand is expanding to Asia, with Malaysia as their first stop. Hope to see their products easily accessible in time. It's unfortunate that most of the colors I want are never available at their online store. Bummer! >those colours…are so RICH. yummmmmmmmm. I know you prefer your creams etc Simone, due to an extreme fallout aversion, but I'm still a sucker for regular shadows and these look beautiful. >Love the sound of AMC Shine. 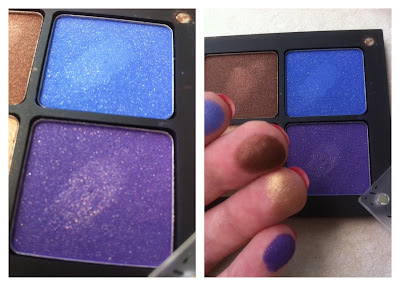 Colours look so pigmented – gorgeous! I love Inglot but I find the palettes are a tad too heavy. >oh that brown looks amazing! Love the pigmentation of inglot products.. they're gorgeous! >Those colours look gorgeous and your blog is beautiful 🙂 I'm following you.